The arrival of fall brings with it cooler weather and a unique set of challenges that must be addressed by business owners and facility managers. As the weather changes and the temperature drops, it’s time to think about whether or not your commercial floor mats can handle the damp, wet weather (even an early snowfall!) and keep your floors safe and dry. Investing in Waterhog floor mats or custom floor mats for your business means that you’re investing not only in the safety of your customers and employees, but protecting your business from liability issues due to accidents and injuries. 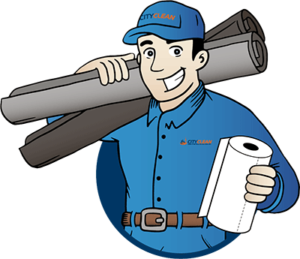 This fall, prepare for inclement weather by performing a thorough facility walk-through to ensure your commercial floor mats as well as all entrances and high traffic areas are prepared for your customers. When the seasons change, one of the difficulties becomes not quite knowing what you are going to get when it comes to the weather. Fall brings with it cooler temperatures for sure, but you can also see quite a variation in what type of weather appears. Thankfully, Waterhog floor mats can handle just about any type of challenge the cooler weather can bring. Let’s take a look at a few possible scenarios. If the cooler weather shows up sooner than expected, this means business owners should anticipate frost, sleet, and ice earlier in the year. Not only does this mean that your floors can be wet earlier than you might expect, but it also means that visitors may not be wearing proper footwear for the weather. Wet floors and poor footwear is a dangerous combination! We’ve had a pretty hot and dry summer, which sometimes can lead to a wet fall. Lots of rain means lots of moisture tracked into your business leaving slippery floors. Is your business prepared to keep all that water off the floor? As the cooler weather arrives, leaves and other debris litters the ground and gets picked up by shoes and boots. That seasonal debris then gets tracked into your business. Wet leaves in particular can make floors very slippery. So, not only do your commercial floor mats need to be able to keep water at bay, they also need to remove debris from shoes entering your facility and stop it from spreading onto your floors. Waterhog floor mats have a unique swirl pattern that removes both water and debris from shoes, as well as a rubber border that keeps liquids in the trenches of the mat and off the floor. In addition, they also boast an anti-static, polypropylene surface that quickly dries, and a nitrile rubber-reinforced surface and backing that give Waterhog floor mats great flexibility, durability, and strength. Be prepared for cooler weather by replacing old or worn out entrance matting and making sure you’ve got proper mats, like Waterhog floor mats, to keep water and debris from collecting on the floor. 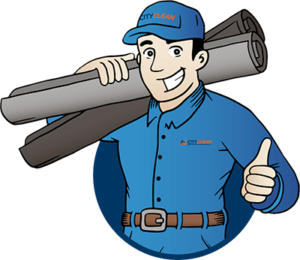 City Clean has been providing commercial and custom floor mats for more than 40 years and works with businesses to ensure they have the exact matting they need. 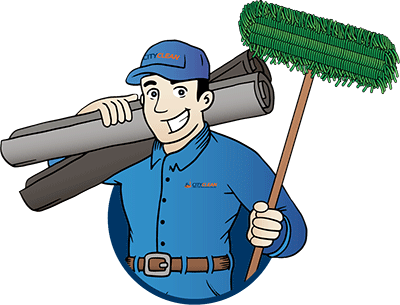 If you’d like to learn more about using Waterhog floor mats to protect your business, contact City Clean.